Dame Vivienne Westwood uses a "tank" to protest fracking. It's not a tank, but a strange Armored Personnel Carrier that I cannot identify. The markings indicate it is the "Tank Limo" hired from Tanks-A-Lot. It has seven road wheels, three return rollers, a front sprocket drive, a squat turret with what is likely a low velocity cannon, and a large crew door in the rear. The web site indicates it is a Cold War relic and may be a prototype. A bit of a special not only fitted with a turret for when it was on the Berlin wall, and one of only 13 ever made but she also had some strange mine laying or clearing gismo on its rear which we binned. 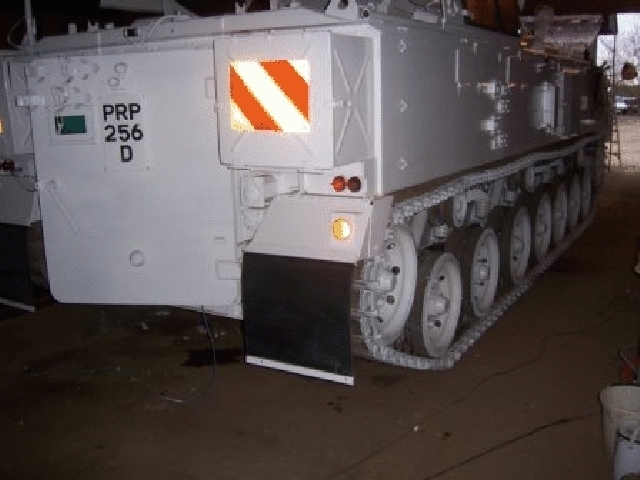 It looks like a stretched FV432, but who stretched it and why? I found another reference to a turreted FV432 used to patrol the Berlin Wall. It does not appear to be stretched. According to the page you linked to, it was made by the company that hire it out. we pulled out the best armored personnel carrier from 30 we had laying around. A bit of a special not only fitted with a turret for when it was on the Berlin wall, and one of only 13 ever made...Chopped a few windows in the side fitted smoked glass Fridge; twin DVD's reversing cameras completely re trimmed the interior. We found the army had left the massive diesel powered crew heater in one of the 432,s so we threw that in as well. 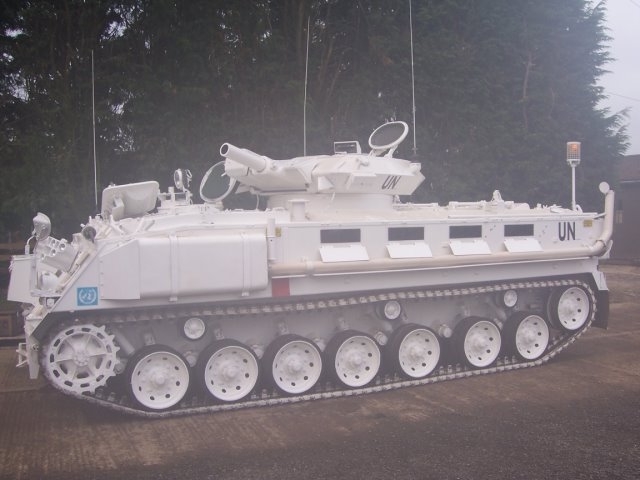 So it's a modified FV432 as you guessed. Apparently, some of them had a scorpion tank turret fitted (with dummy gun) as part of OPFOR exercises, presumably to look a bit like a Russian BMP. 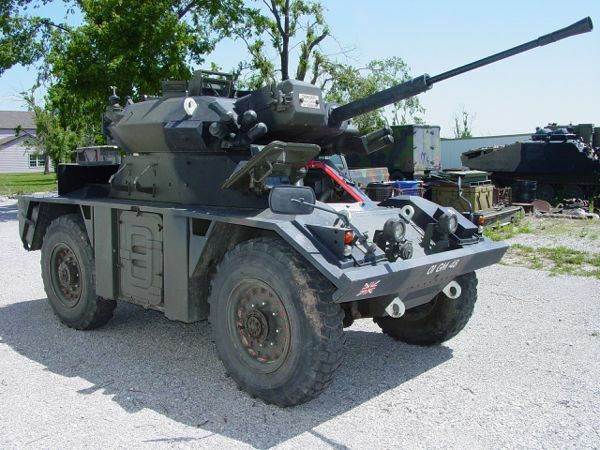 Others, as the quote suggests, used a turret taken from the Fox armoured cars (which had a 30mm Rarden cannon) and were deployed in Berlin in the 1960s. The PRP256D registration on the vehicle was issued in 1966, so could be original. According to this video from The Fifth Gear TV programme, this vehicle is actually two FV432s welded together (Listen at the two minute mark). The 30mm cannon has been removed leaving just the shortened barrel housing. Not the answer you're looking for? Browse other questions tagged military identification tanks or ask your own question. Can you identify the ship in this picture?